Andrew Dumont is a serial technologist with a passion for building, growing, and investing in early-stage companies. He's currently the founder of Curious Capital. Previously, Andrew worked as an Entrepreneur in Residence at Betaworks in New York City, a startup studio that has invested in companies like Tumblr and AirBnB, and has created companies like Bitly, Giphy, and Chartbeat. 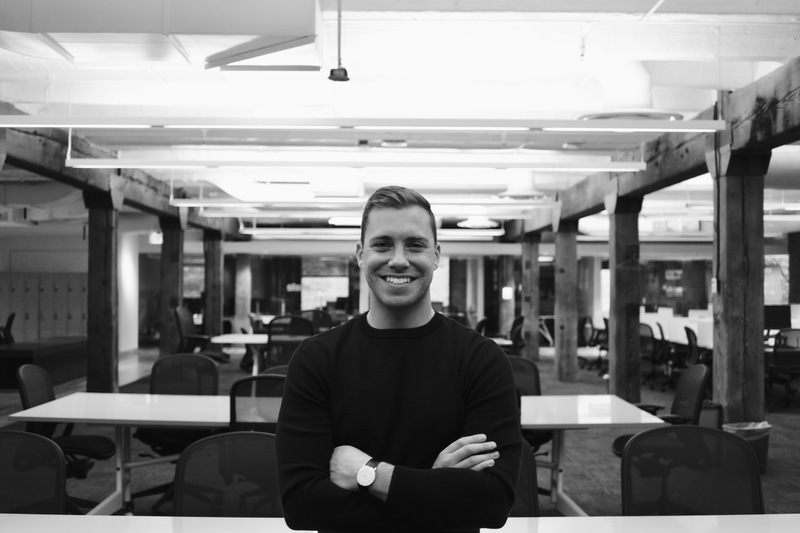 This led him to his most recent role as the Chief Marketing Officer at Bitly. Since the age of 18, Andrew has been building and growing startup companies like Moz (>$40M in revenue), Seesmic (acquired by Hootsuite), Stride (acquired by ProsperWorks), and Tatango. He's worked across all areas of the customer acquisition funnel, from awareness through retention, with a heavy emphasis on SaaS and consumer internet. Andrew also advises at groups like Techstars and Startup Weekend, and is an occasional columnist for Inc. Magazine. Forbes named Andrew one of 30 innovators under the age of 30 in marketing, the United Nations appointed him an entrepreneurial delegate, and he's spoken around the globe on all topics digital. A proud Seattle native, Andrew currently splits time between Seattle and New York City with his beloved espresso machine and obligatory Nirvana albums. Growing up, I was never top of my class. If I'm being honest, I was never anywhere near it. I didn't attend an Ivy League school for my undergraduate and my public university experience consisted of me dropping out, returning, and limping along with the help of some good-spirited faculty. I didn't come from a family of wealth or success. Both of my parents are blue collar workers, my father at a power plant and my mother as a receptionist. Like most loving parents, they offered the following advice; go to school, get a good job and stay there. I don't have any entrepreneurial fairytales to share about selling baseball cards on the playground or starting a billion dollar company out of a dorm room. And my resume is void of any big name consultancy, exit, or brand. I'm what a conventionalist would call a failure. But, in spite of these so-called shortcomings and failures, I've been able to make my way through the world of technology and entrepreneurship on a combination of moderate intelligence and pure grit. At a fundamental level, I guess that's what this site is all about. It's for the underdogs, the ones that haven't checked all the boxes, but have aspirations to be truly great. Here, I write about the journey. The grind. I don't do the standard tech blog stuff. You won't see posts on the latest gadget, and you certainly won't see any listicles. Instead, I try to talk about the things that I wish more blogs would cover: life, humility, productivity, career development, and the reality of building startup companies, something I've become absolutely infatuated with. Anyway, welcome. If you'd like to get in touch, drop me a line. I try to make it a priority to be as responsive as possible. "Forbes 30 Under 30: Andrew Dumont"
"50 People You Should Know in Growth"
"[Keynote] Building Bitly's Growth Machine"
"[Podcast] Growth Hacker TV: Andrew Dumont"
"[Panel] How Software is Eating the World"